In the universe of DOS2, the Hall of Echoes is an abstract dimension between life and death. The player character, as a Godwoken, has the divine power to enter the Hall of Echoes and talk to the lingering spirits within, and this is where they get several important abilities. Early on, the player may only enter the Hall of Echoes during specific story moments. When the player first enters the Hall of Echoes, they meet a god who gives them the ability to cast Bless. This presents several unique challenges. First, the player does not begin the game knowing that they are Godwoken, and consequentially does not know anything about the Hall of Echoes. Therefore, it is impossible to design a quest that unlocks the Hall of Echoes as a reward, because the reward itself needs to come as a surprise. The player cannot know that they will be rewarded, and yet they are expected to push themselves through the challenge anyway. The player first enters the Hall of Echoes by interacting with a statue inside of an ancient king’s vault, guarded by an immortal spirit. This crypt is organized in two halves that echo each other’s structure. In the first half, you encounter a minor inconvenience (an easy battle), followed by a fake reward (illusory chests and doorways), followed by a minor reward (an easy riddle). As the player progresses, they experience frustration and triumph in equal measures, foreshadowing the next half of the vault. If the first half is characterized as minor inconveniences and rewards, the second half is composed of major inconveniences and rewards, following the same structure as before but with greater intensity. It begins with a major inconvenience (a gimmick/puzzle battle) followed by a fake reward, a unique ring called the Band of Braccus found on the enemy’s body. This ring is quite powerful, but if a character equips it, the ring inflicts a curse on them and tightens so that it cannot be taken off. The player does not consciously expect a major reward. However, there is a subconscious feeling that something good will soon happen. In this way, the player has been primed with a forward-thinking mindset, and hopefully they keep going instead of save scumming. This sets the stage for the player to encounter the statue, receiving a reward that is valuable but not expected. After the player finds the statue and learns how to cast the Bless spell, they may use it on themselves to remove the ring and stop the curse. 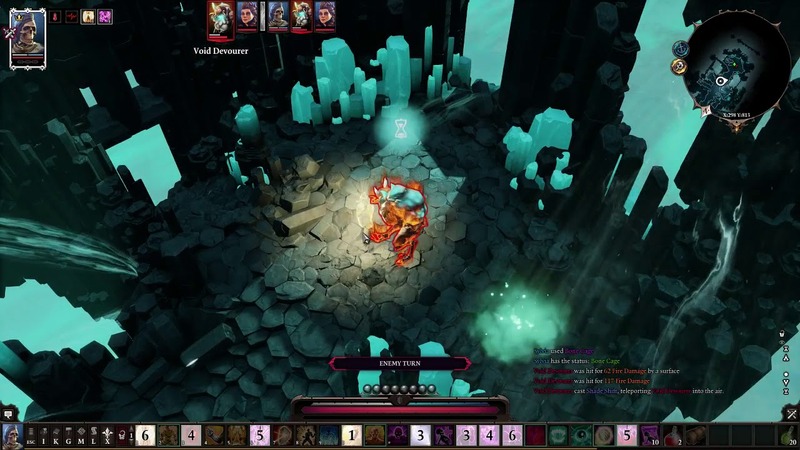 The valence-based approach requires designers to consistently pair good and bad events together, but it gives more flexibility and applies to a wider range of quests rather than “do task, get paid.” In this way, DOS2’s design philosophy sidesteps several psychological traps which are inherent to the standard RPG quest setup. Most notably, the overjustification effect observes that players may lose their sense of intrinsic motivation for a task if they are paid to do it. In other RPGs, it would be silly for players to exert effort completing challenges that do not have clear rewards. With this setup, quests become a natural extension of exploration rather than laundry lists to be checked off. Rewards come as pleasant surprises rather than expected outcomes. Much later, the same structure happens again with the Source Vampirism spell. After the player has learned Bless and moved on from the starting area, they are tasked with seeking masters of Sourcery to learn how to channel more Source. This can be done in many ways, but almost all of them are very arduous. Learning about Sourcery is a reward in and of itself, but it is weakened because it typically happens at the end of a long questline where the player must help, intimidate, or otherwise convince a mastery of Sourcery to teach them. Once this is done, they encounter a minor inconvenience where they can enter the Hall of Echoes to tell their god about their progress. In order for the player to enter the Hall of Echoes, they must go through a ritual which has several more inconveniences in itself, such as collecting the Blackroot ingredient from a far-off area or returning to their mentor’s home to refill their Source. Once this is complete, their god will teach them the Source Vampirism spell. This is not mandatory and the reward is not explicit, incentivizing players to be curious rather than appealing to their sense of obligation. Later, the game uses this structure in reverse to accentuate a narrative point. Once the player has three Source points, they are excited to perform the ritual and return to the Hall of Echoes. The inconveniences that existed before are now negligible: the player has likely collected several doses of Blackroot, and can use Vampirism to refill their Source without needing to go back to their mentor’s home. By this point, the player’s valence is rather positive, and they are eager to return to the Hall of Echoes. Even if they have not directly associated the Hall of Echoes with new abilities, they have built up positive memories of the place. It is the place where they receive rewards for the challenges they have completed, but by the time they have three Source points, it is not a challenge to perform the Hall-entering ritual again. For the first time, something bad happens in the Hall of Echoes. The player enters to find their god under attack by two eldritch enemies, a Void Devourer and a Void Flayer. Unlike every other enemy the player has encountered until now, they are almost completely immune to physical damage and magical damage respectively. 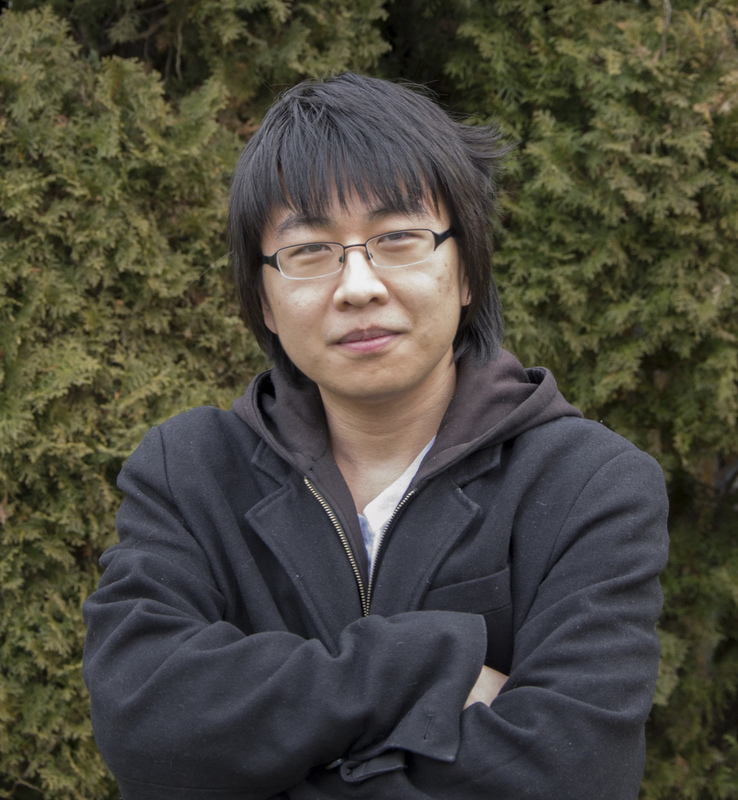 A character who specializes in one type of damage might be able to take down the corresponding enemy, but then will be helpless against the other. Moreover, only the main character can enter the Hall of Echoes in gameplay. 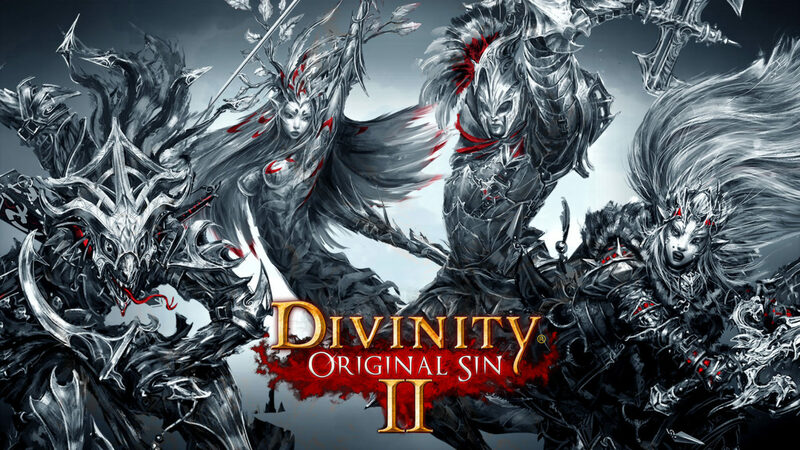 DOS2 is largely balanced around players in full parties (4 members) so that each character can cover a different skillset. If your main character is a fire mage but you are fighting against enemies that are resistant against fire, you probably have another non-fire character in your party who will be the primary damage dealer in that particular encounter. It is very rare and disempowering for your characters to be split up from the party and forced to fight alone, as is the case with the Devourer/Flayer battle. Although your god will attempt to fight alongside you, it is also heavily weakened and cannot be directly controlled by the player. To make everything worse, the Void monsters kill your mentor too. Looking at this battle in isolation, it would seem unfairly difficult. Previous encounters have started with bad things which led to good things, but this one starts with a good thing that leads to a bad thing. This reversal upends the player’s assumptions, even the ones that they didn’t know they were making. The valence-based approach only works because it presents rewards implicitly rather than explicitly. Players are meant to pick up on this pattern subconsciously, but what if they pick up on it consciously as well? If they develop a sense for how this design philosophy works, they can predict when rewards will occur. But the appeal of this approach lies in hiding the rewards rather than using them as extrinsic motivators. Once the rewards are no longer hidden, the magic is lost. Therefore, the designers need to remind the player every so often that they are wrong. The Devourer/Flayer fight serves as a harsh reminder that the player’s assumptions are not always correct, that they will not get a powerful new ability every time they return to the Hall of Echoes, that adversity does not always lead to prizes. Divinity: Original Sin 2’s valence-based approach to narrative design exemplifies the philosophy that the journey is the reward. Players are incentivized to live in the moment and experience the world as they explore it, rather than seeing everything in terms of bounties and profits. In an RPG market saturated with collectathons and waypoint markers, DOS2 shows that neither are necessary to create a world of intrigue and wonder.